Reboot Combat Recovery is a new combat trauma healing course. It will be offered at Brookside Ministries Church in Shamokin Dam beginning Monday, February 4th. The 12 week course will be held Mondays from 6pm-8pm. 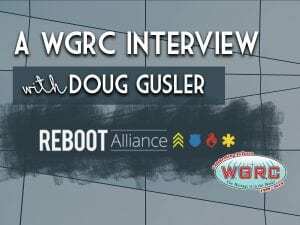 In this interview, Doug Gusler shares about how his military background influenced his introduction to Reboot Combat Recovery and how the program focuses on the spiritual aspects of combat recovery. For more information and to register visit www.rebootrecovery.com.